Voice Coach for TVB’s The Voice Season 3 and 4! 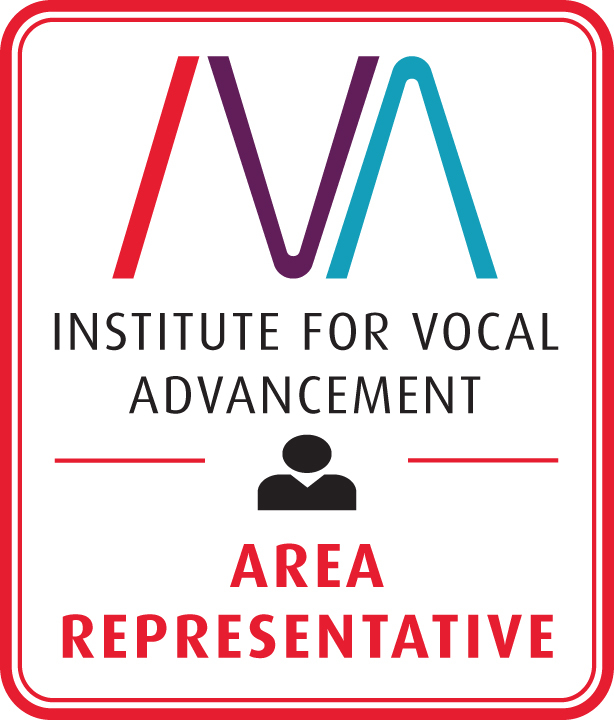 Krystal is a certified Institute for Vocal Advancement (IVA) instructor (Level III) as well as the IVA Area Representative for Hong Kong. Krystal started her music career at the age of eight and has performed extensively as a lead singer and background vocalist for both live shows and studio recordings. Her voice has been featured in numerous television commercials aired all over Asia, and she can be heard singing lead vocals for one of the theme songs for the 3D-animated TV series “Electroboy” (English version). She has also been invited to perform at special events and charity fundraising functions for organizations such as Community Chest, the Organization for Oncology and Translational Research and Habitat for Humanity. Krystal is also a freelance songwriter and has written songs in collaboration with other musicians for television commercials for companies such as Cathay Pacific, Sun Hung Kai Properties, China Light and Power, Canon, to name a few. Most recently, she composed the English lyrics to Hong Kong’s legendary singer Vivian Chow’s (周慧敏) original song composition “A Love Like This”. She has been personally trained as a vocal instructor by one of Hong Kong’s most sought-after vocal coaches and performers, Christine Samson, as well as by Institute for Vocal Advancement Master Teachers Jeffrey Skouson, Kathy Kennedy and Spencer Welch. Her students come from all walks of life and range in age from 3 years old to 60+. In 2010, she was hired as a vocal consultant to guide EEG mega star Joey Yung (容祖兒） in her daily vocal warm-up sessions during her Nokia No. 6 concert series at the Hong Kong Coliseum. Krystal’s voice can also be heard on Hong Kong pop star Susanna Kwan’s (關菊英) latest album as a background vocalist on the songs 似風如水 and 笑著行, both of which were recorded and produced at CSMA Studio. In 2011, Krystal was also selected to be one of the three-featured vocal coaches on TVB’s “The Voice” Season 3 (Hong Kong’s equivalent of American Idol). Out of the six students she was assigned to train, five students made it to the Top Eight, and four made it to the Top Six Finalist round. Both 1st and 3rd place winners were also trained by Krystal (Jerry Liu 廖仲謙 and Kayee Tam譚嘉儀, respectively). Kayee also took home the awards for Best Improvement and Best Song Performance, while 1st place winner, Jerry, received the highest points ever awarded to a contestant in the history of the show. In Dec 2012 Krystal had the opportunity to work closely with the young, internationally acclaimed singer, Connie Talbot, from Britain’s Got Talent. During Connie’s Asia Tour, Krystal spent time coaching Connie on her vocals for her performances. Krystal was also asked to perform as a backing vocalist and guest soloist for Connie’s two-show concert in Hong Kong held at the Kowloon Bay Exhibition Centre on December 27th. She also worked closely with HK pop star Kary Ng 吳雨霏 as a vocal coach in preparation for her “The Present” concert held at the Hong Kong Coliseum in January 2013, during which time Krystal also led pre-show vocal warm-up sessions for the singer. Aside from singing and vocal coaching, Krystal also works as a vocal producer for different recording artists. Most recently she was the vocal producer for Hong Kong punk rock band Hardpack’s 2013 album, as well as for recording artist Ryan Hui（許懷欣）. Krystal teaches fluently in both English and Cantonese and is familiar with a wide range of music genres in different languages, including Jazz, Pop, Rock, Country, R&B, Opera and Musical Theatre. "To Dear Krystal, Thank you for all your love and support." "Dear Krystal, Thank you so much for your guidance! Love ya!" “To Krystal, Thank you so much for your vocal lesson. Lots of love, Connie"
I have heard of voice training before, and I always thought of it as 'for people with gifted voice only'. In my head, it was just practice sessions and nothing to do with development. After I met Krystal and learnt that what I had was misinformation, I decided to give it a try. In the beginning I did not expect much and thought I would hit a brick wall after a minor improvement. Boy, I was wrong! After the first 5-6 weeks at one session per week, I could already notice considerable changes without any reminders. Now in my 11th month, crossing a bridge doesn't sound like a speaker going into distortion and my current singing feels like I am a totally different person from what I was 11 months ago. What I like even more than the improvement is that the sessions run at a pace to suit my comfort level. If you are a decently persistent person with some interest in singing (or better yet, with passion), I strongly recommend the class. You would be surprised to see your actual potentials. Throughout my SLS lessons with Krystal, I learned more than I could ever imagine. It was the first one-on-one singing experience I've ever had and I was fortunate that I had such a knowledgeable teacher. At the beginning I struggled with some of the concepts that were taught, and even if I did understand them, it was sometimes difficult to actually apply them. However, as more lessons went by, I realized that I was grasping the exercises with more ease. I could also tell that my singing range had shot up by a long range, which is something I had always hoped for. My voice and the way I sing are different now, and even my friends are amazed at the changes. SLS lessons have made a big impact on my life, and it is something that I hope I can continue. Krystal is an excellent SLS teacher that I would recommend to anyone that wants to improve their singing skills. She was able to identify all the problems and bad singing habits I had developed over the years in the very first lesson. And the customized exercises she gave me did help me tackle my singing problems effectively. One of my biggest concern over the years was that I could not expand my range. But after a couple of lessons with Krystal, she had introduced me ways to "cross the bridges". I was able to hit an octave higher after the lessons. Krystal is very creative in how she explains hard-to-grasp concepts. But what makes her an excellent teacher is her positive attitude that makes her students feel encouraged even when they make mistakes. Krystal has done a great job in creating an environment that is constructive for learning. Krystal was able to find where I had problems in my singing techniques, how to improve them, how to not do my bad habits and cover all that with new techniques. Over a short period of time, I was able to not only sing better, but enjoy what I loved to do even more so than before. She was able to help increase my range, techniques in singing, and improve my pronunciation of words during songs. In very visual ways, she allowed us to see things that we were not able to see before and understand them. With different students, she used different ways of teaching that was suitable to us and did not have anyone felt left out. Krystal is a great teacher and I will definitely recommend to you.